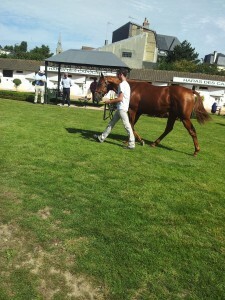 Horses are paraded before the Deauville Intl Yearling sales, in a very well situated venue. 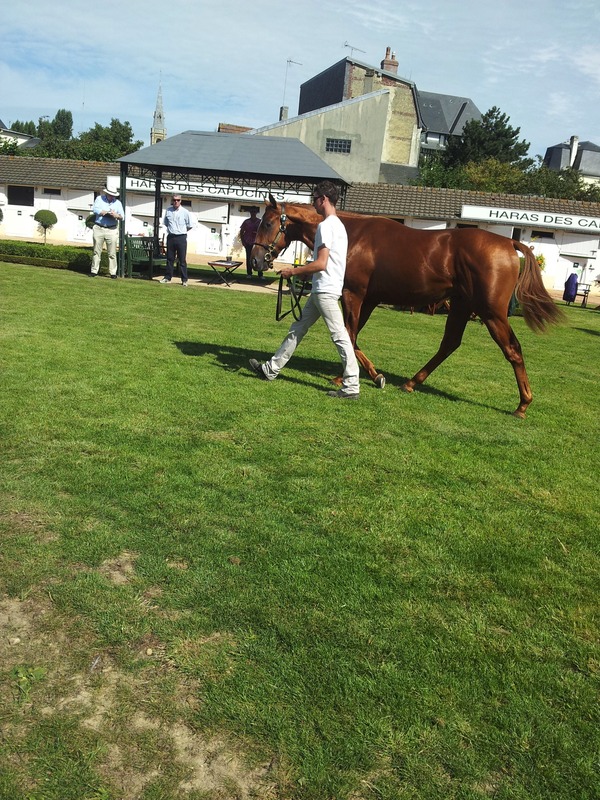 A young future race horse, a Yearling being paraded in front of prospective buyers. The Deauville Intl Yearling Auctions are organised by Arqana. The site is very well organised with stables for the Ecuries showing, & also for the prospective Buyers, with a comfortable Business centre with free WIFI access. All the horse events take place at venues within a few minutes walking of each other. The Horse Racing, the Polo, the Yearling Auctions. The race course was built, by the Duc de Morny, in the 1862 , in the centre of Deauville, it has remained a focal point of the town within walking distance of the main hotels, restaurants & beach.